James Lochhead, 1926. Extensive, 3-storey and attic, U-plan, Baronial-style nurses residential home. Bull-faced snecked rubble; rendered at attic floor; ashlar dressings; deep basecourse. Moulded and corbelled parapets; prominent crowstepped gables; stone balustrades and terrace. pavilion ends to projecting wings. Corbelled stone balustrades over principal and secondary entrances (turreted and moulded parapet with octagonal chimney stacks to principal entrance). 11 bays to right and left returns with 3-light bowed windows set at each angle and central full-height metal fire escapes. SE (SIDE) ELEVATION: nearly symmetrical; 14 bays (10 bays to ground floor). Slightly advanced, gabled bays to ends (1-bay, 3-storey section to far left); 2 5-light canted transommed and mullioned windows and tripartite and bipartite windows at ground floor. SW (GARDEN) ELEVATION: nearly symmetrical; 19 bays, arranged 3-5-3-5-3. Central heavily corbelled parapet between ground and 1st floors set above round arched entrance and terminating with 3-light canted windows. Double gables to centre set above. Gabled ends with projecting 3-storey sections, corbelled-out terraces and canted 2-storey windows. Massive pair of octagonal and moulded stone piers (former light holders) flanking central stone steps and terminating low stone balustraded. NW (SIDE) ELEVATION: 14 bays. Similar arrangement to SE elevation. 4-pane timber sash and case windows. Pitched roofs; grey slates; overhanging eaves at attic floor. The 1926 former nurses' home is a large imposing building with good stone detailing in Scots Baronial style set within the grounds of the former Hartwood Hospital (see separate listing). The nurses' home is an important (slightly later) component of the remaining buildings of the former Hartwood Hospital complex and has purposefully followed the quality and style of the 19th century buildings on the site. The hospital was opened in 1895 with the architect James Lochhead becoming responsible for the subsequent expansion of the hospital site from circa 1904 with the new sanatorium, new reception block in 1916, and male staff hostel in 1936. 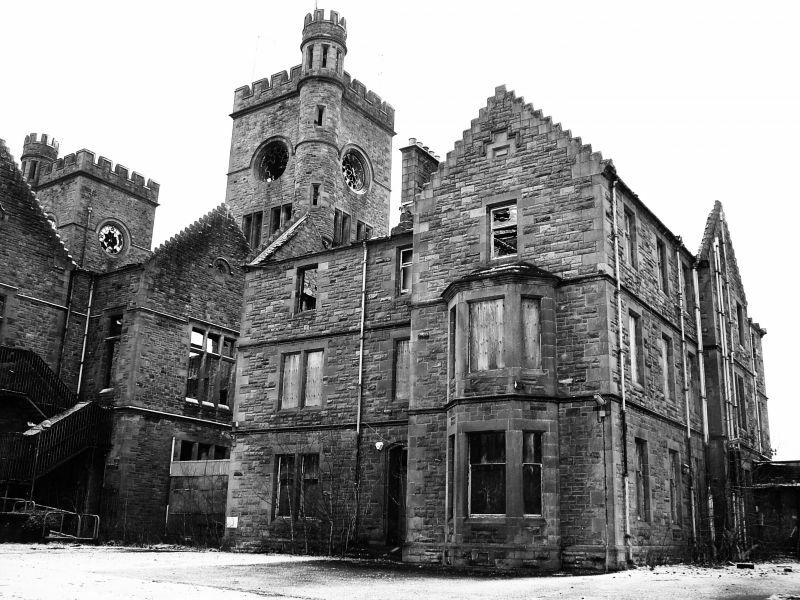 The main Hartwood Hospital building block with central towers with side wings was designed and built from 1890 by the local architect J L Murray from Biggar as the Lanark District Asylum covering the Lanarkshire area. The 1857 Lunacy (Scotland) Act required all areas to build a District Asylum for its 'pauper lunatics'. 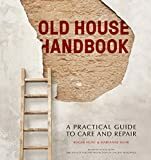 The need for more diverse classification of the patients and the better management of different types of psychiatric conditions in the late 19th century led to a wider variety of building types and plans for hospitals built during this period. Hartwood was purposely built on an isolated site for exclusion. The initial build took five years to complete at a cost of £153,000, opening on 14th May 1895 and able to house 420 residents. The industrialisation of the surrounding area boosted the local population and resident numbers rose accordingly reaching 960 by 1913. By the mid 1950s Hartwood Hospital was a fully independent site which had created a hospital "village" with a variety of facilities including a bowling green, arcade of shops and a dancehall. The village system of patient care, exemplified by the Alt-Scherbitz hospital, near Leipzig in Germany in the 1870s encouraged psychiatric patients to be cared for within their own community setting. Hartwood was the largest asylum in Europe housing 2,500 residents. The introduction of the 1990 Community Care Act resulted in psychiatric care moving to the community and subsequent redundancy for the Hartwood Hospital buildings. From 1995 the hospital buildings moved to administration only and were totally vacated in 1998 to the nearby Hartwoodhill Complex. The majority of the later ward blocks on site were demolished during this period leaving only the main towers and flanking blocks and the ancillary buildings to the rear. Those that remain were damaged by fires in 2004 and 2011 with further damage by vandalism. James Lochhead (1870-1942) was a local architect in the Lanarkshire area and carried out many public commissions. In 1898 he went into partnership with Alexander Cullen of Hamilton and their first major project was Hamilton Municipal Buildings commissioned in 1903. List building record updated following review in 2013.